Japanese textile manufacturing wholesalers’ development capabilities and their function of “always having stock on hand” are steadily taking root in Western markets. Progress is underway from luxury brands to medium and small brands, and the breadth of business is growing. UNI TEXTILE CO., LTD. has been participating in successive trade fairs in Europe and America as an exhibitor starting with the 2002 Texworld, and expanding to Premiere Vison (PV) Paris from 2011, and more. It possesses its own dobby looms for synthetic fibre, jacquard looms, and dye facilities, and has taken up the challenge of improving speed and cost performance as a manufacturer. It has the capability to deliver sample textiles for 35,000 varieties of products at any time, and to deliver actual products within three days for plain fabrics and within one week for printed fabrics. According to UNI TEXTILE’s representative, this unique function has steadily won the company strong support not only in Japan, but also in the Western markets. The company’s textile exports, including exports to China and the Central and Middle East, have grown steadily to become one of its core businesses; additionally, exports to Europe and America have become the driving force behind its export business. With PV Paris as its starting point, TOKO SHOJI CO., LTD. has also been expanding its sales network, including luxury brands. Its product offerings that anticipate the needs of customers and its ability to meet short delivery deadlines have helped to build trust among its clients, and sales volume per company is growing at a steady pace. It is also building up a strong track record in mass production orders. At the PV Paris exhibition for autumn/winter 2018-19, it featured printed and jersey textiles oriented towards womenswear, made from its functional material, TERAX, which is produced through the use of artificial ore. This drew a strong positive response, and resulted in many inquiries including the sportswear lines of European and American luxury brands. SUNWELL CO., LTD. constantly has 1,500 marks of textiles in stock, including cotton, synthetic fibre, wool composites, and jersey. Starting several years ago, it has also been exhibiting at Milano Unica (MU) as its foray into exporting to Western markets picks up speed. 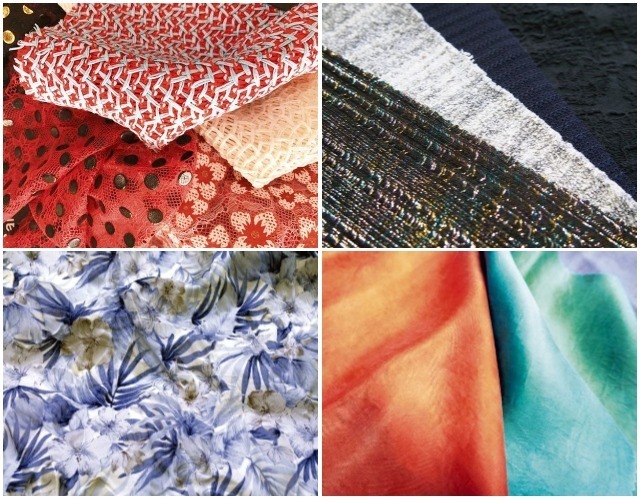 In addition to the superior quality of Japanese materials, its system that enables the immediate shipment of sample textiles at any time has won strong support. These have helped the company in its ongoing efforts to expand its business, particularly in the Western markets. According to its representative, trade deals with luxury brands are on the rise amidst the decline in the number of weavers and knitters in Europe and America, as these brands begin to seek not only textiles that embody a high level of creativity and technology, but also basic textiles of assured quality. The unique function of Japanese textile manufacturing wholesalers to supply sample textiles and sell existing products in orders as small as one roll of cloth puts them in good stead not only among major brands, but also among medium and small brands of Europe and America. 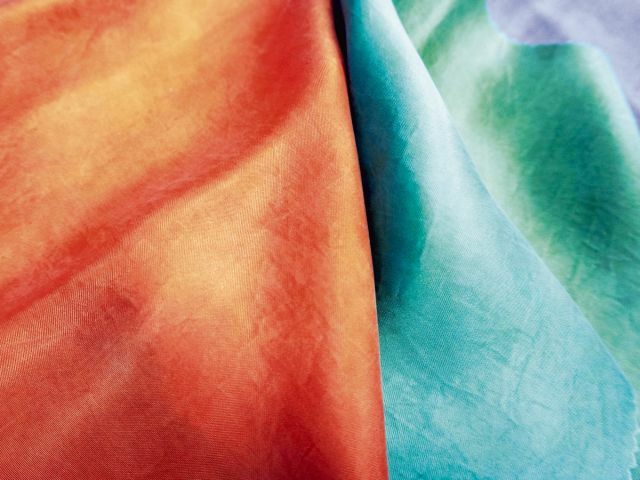 Since its participation in PV Paris, KOKKA CO., LTD., which deals primarily in printed cotton fabrics, has moved forward on developing highly-original products through the incorporation of Japan’s diverse production region technologies. While strengthening its line-up of double-weave and triple-weave cotton as well as woven jacquard fabric, it has also developed a creative variation of printed textiles that reflect the latest trends. By establishing a system that enables the immediate shipment of products, it is beginning to see the results of its efforts in the Western markets. Furthermore, growing concerns toward traceability worldwide have also become a favourable condition for Japanese manufacturers. According to SUNWELL’s representative, the safety of Japanese materials is beginning to strengthen their superiority and competitive edge. In the MU and PV Paris for spring/summer 2019, the respective companies have expanded the variation of their product offerings against the background of “textile development in teams such as weaving, jacquard, dyeing, and post-processing, centred around the company’s in-house facilities” (UNI TEXTILE) and “the growing stability of business with domestic production regions” (KOKKA). KOKKA has developed a yarn-dyed series using textiles such as cotton, cotton and hemp, and cotton and rayon, as well as printed textiles with an eye to creating coordinates with lace and denim. With these products, it aims to offer a line-up of textiles that are suitable not only for spring and summer, but for three seasons including autumn. 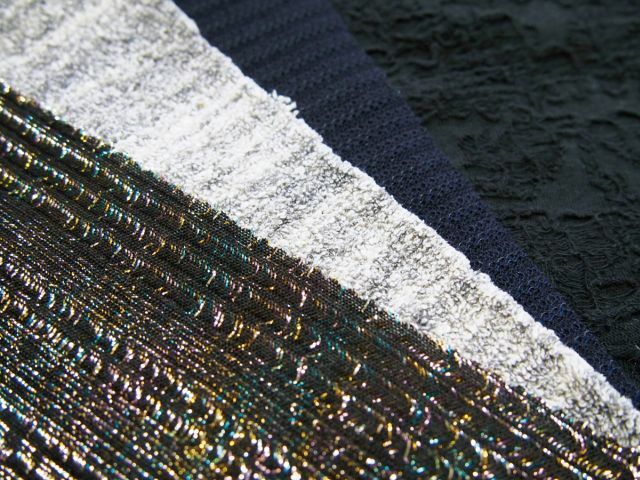 UNI TEXTILE is also expanding its jacquard variations in addition to its printed textiles. In particular, it is strengthening its line-up of pleated textiles and textiles that come in offbeat variations, such as cut jacquard. LILY LACE INTERNATIONAL CO., LTD. proposes new variations of lace products by making changes to processes and ecology. 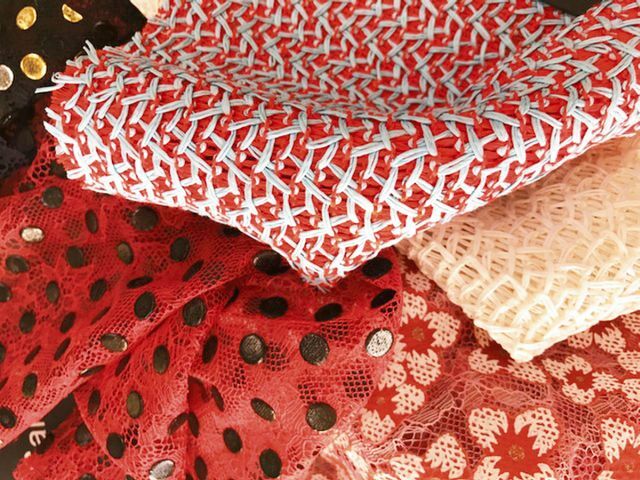 These include Russell lace made from organic cotton, plant-dyed lace, embroidered pigment-dyed silk and hemp, printed organdie lace, and lace covered in Japanese paper (washi). DEBS TEXTILE CORPORATION proposes mainly recycled polyester and cuprammonium, incorporating split-yarn types, shrinkage combined yarn-types, and organic-dye types. 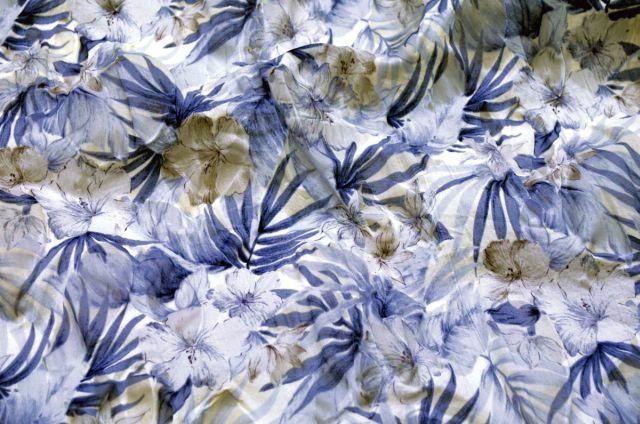 It has also produced AirDye printed stretch woven material in denim tones, as well as mesh and knit textiles. TOKO SHOJI has launched its TERAX product in earnest after completing trademark registration in Europe. At the same time, it is promoting its products based on the latest trends, with a focus on jersey. It offers a line-up that includes circular knitted textiles made completely of yarn, nep yarn cotton jersey subjected to polyurethane laminate processing, and three-dimensional jacquard knit.